Thoreau famously wrote that “the mass of men lead lives of quiet desperation.” Despite our advancements in civilization and technology since Thoreau’s day, his words still speak deeply to many men today. We intended to take life by storm and dominate it. For too many of us, things didn’t quite work out like that. I don’t mean we haven’t been generally successful, because we have. We have good jobs, good wives, and good kids. But when we get a moment to reflect, we realize that we’ve given up on our dreams. We’ve become too comfortable, too safe, too scared, too stable, too fat, too busy, too bored, too depressed, and too insignificant. Our families, our careers, our health, and our accomplishments are not what we envisioned. We feel the “quiet desperation” that Thoreau observed. It’s time for change. I’m Stephen Marshall, an attorney, a husband of over 20 years, and a father of four. I’m here because I want to exchange the good for the great. While many will tell you that men are the cause of the bulk of the world’s problems, I tell you that we will be its salvation. The strength, courage, and ability that sits inside of us can save the world. It can save our wives and our children. There’s more to life than we’ve experienced. The life that society has tried to force us into is not working. It’s time to change course. Most of us are good men, but it’s time for us to get better at being men. I’m convinced that when men are both good men and good at being men, women and children will also thrive. Our culture promotes comfort, pleasure, entertainment, and leisure without the need for the masculine virtues of strength, courage, skillfulness, or honor. 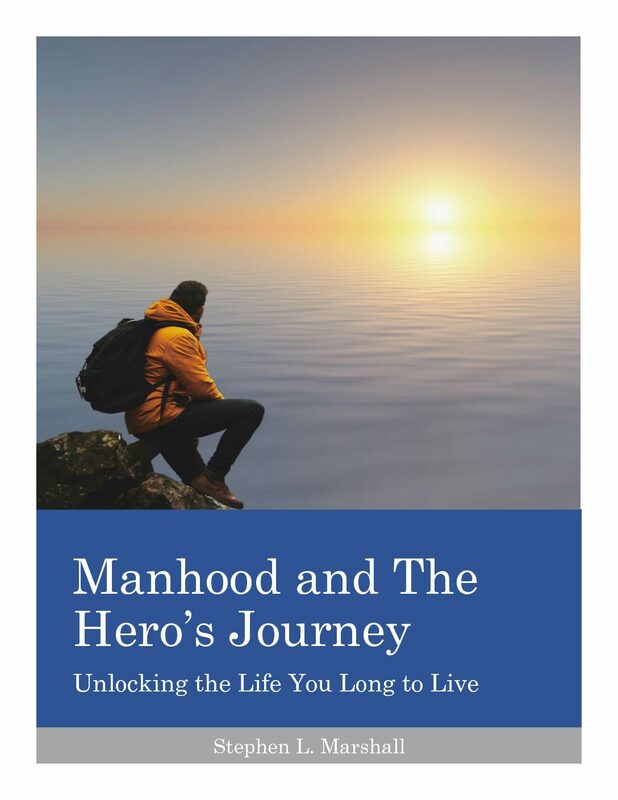 As a result, most men have not developed their masculinity and have not lived in accordance with their nature. And the consequences are clear: more suicide, more depression, and more discontentment than ever before. It’s time that we promote and reclaim these masculine virtues and apply them in our day. We can incorporate traditional masculinity while rejecting the mistakes of the past; we can be good men who are good at being men. I plan to take my family on a tremendous journey. I hope that you will as well. If you’re ready for a new journey, one that will lead to a better marriage, better parenting, better fitness, a better career, and a better life experience, join me. Let’s roll.